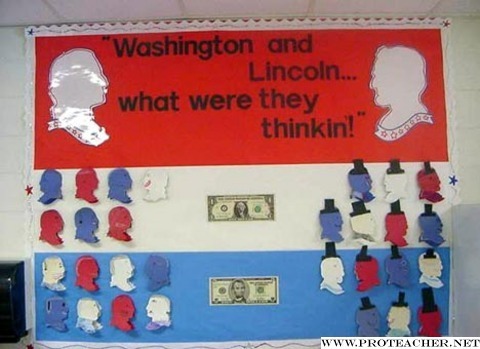 After learning about George Washington and Abraham Lincoln my students pretended that they were each president. They then wrote autobiographies including interesting facts about the two presidents. They wrote their stories inside of books that were shaped like the silhouette of the president’s head. So when you open the book to read, you can find out what that president was thinking about himself. They decorated the outside of the books as the faces of the presidents. For example, they gave G.W. fake teeth and A.L. tall hats.